I wrote With Honor In Hand during the years of 1997 and 2003. My impending deployment to Iraq in early May 2003 motivated me to finish. Writing With Honor In Hand was a glorious adventure! I hope you enjoy my tale. As a friend said to me, "We all have one good book in us." Go write yours! 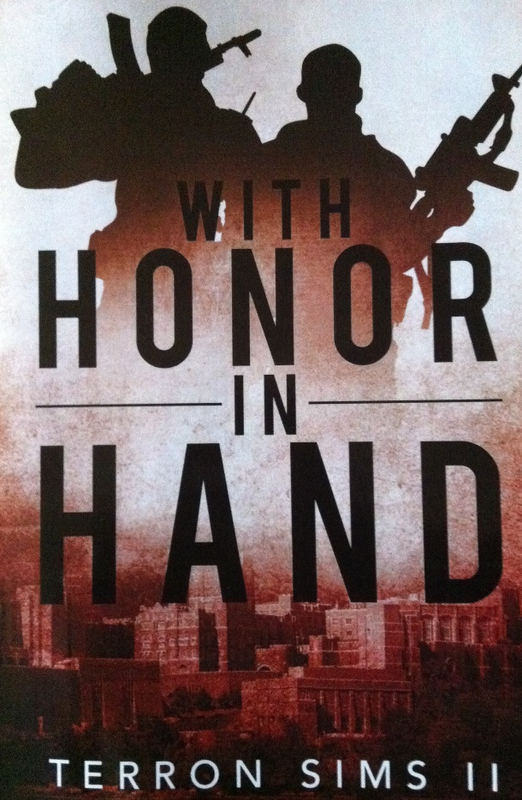 With Honor In Hand is the tale of two friends battling with a serious moral dilemma- a fight between the code of their profession vs. their code of honor. Mercenaries, the two friends, Douglas “Big Mac” Pollard and Amos Man Killer Stewart, are the truest of professionals and the best at what they do. They have never reneged on a contract, but now find themselves in a position where they wish they could exercise that option. As With Honor In Hand progresses, the coldhearted COL Drasneb unfolds his vengeful plan which strains Mac and Killer’s moral fiber: destroying the West Point Corps of Cadets. Through the course of the explosive action, a newly tested hero emerges from amongst the chaos to save his brothers and sisters of the Corps. The below distributors have With Honor In Hand in stock. The links below will take you to the on-line source. I thank you all for your continued support and friendship!